Did Thomas Keeper offer to show you ‘For Sale By Owner’ listings? Would you use Thomas Keeper again? Due to work, I had to move around a lot. I've worked with multiple realtors, but none of them were able to find the house that could fulfill my criteria. I found Thomas online, and honestly, he's one of the best realtors I've ever encountered. He's very responsive, knowledgeable, personable, and most importantly, honest. He made such a difficult and frustrating task seem so effortless. With his help, I was able to find the perfect home that I've been searching for. I'm very grateful and couldn't be any happier. I'll definitely recommend him to all my friends who are looking for properties. - Ami M.
We just listed our townhouse with Thomas Keeper, and he convinced us to list it higher than we thought we could. Within a week, we had an offer! I would recommend Thomas to anyone. We have bought and sold a lot of properties, and working with Thomas was a breeze. He and his whole team were prompt, courteous and they gave good advice. Thomas sold me my condo a few years ago, so when it was time to sell it and look for something bigger, I called him again. We sold our apartment in 1 week, and then we had found a new place the next week. It's unbelievable how easy it was. If we decide to sell our new place, I will call him again. We own a townhouse and called Thomas Keeper to sell it because we received his advertising and knew that he sold a lot in our neighbourhood. It was our first time selling, and he helped us understand the whole process with patience and understanding. We are very happy with his level of service. We just sold our condo and bought a new house with Thomas Keeper. He had helped me buy the condo a few years ago, but now that I'm getting married we wanted to find a bigger place. Buying a brand new home was complicated, but he walked us through the process, and helped us to feel confident with our purchase. So happy we used Thomas again. We live in Crescent Heights and saw Thomas Keeper's advertising a lot, so when we decided to sell, we called him. We actually had his notepad right on our fridge! We were impressed with his enthusiasm and passion for real estate from the first time we actually met him. He listed our house, which we were very tight on what we had to sell for. We'd just outgrown it and needed a bigger place. He was able to get us a great offer, and then immediately helped us start looking for a new place. We just found it, something in our price range, and we couldn't be more excited. Thomas Keeper helped me buy my condo. It was my first time buying, and I was a little stressed, but he made it fun! I freaked out a few times during the process, but he was always there to guide me. Thomas is an excellent realtor, and very professional. Thomas just helped me buy a new place in record time. I was working out of town and he accommodated my tight schedule easily. I really enjoyed working with him and these other reviews really surprise me. He's a great agent and I would recommend him to anyone. My wife and I hired Thomas to sell our house in Mount Royal in Calgary. We'd heard great things about him from a friend, so we interviewed him and were very impressed. He knew his stuff and guided us through the process with ease. We sold our home and he helped us buy too. A very professional agent who helped me get a good price for my home and find a great deal on a new one. We had a lot of fun with the process too. He's a great guy to work with. I hired Thomas Keeper to sell my house in the south of Calgary. 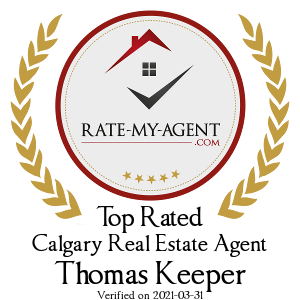 We had it listed before with another agent, but we were unhappy with their service and heard about Thomas from a friend. He was much more professional from the beginning and kept us well informed the whole way. We ended up selling at a price we were very happy with. I'd hire him again. I highly recommend Thomas Keeper. He helped us sell our home in a challenging market, kept us up to date on showings, comments and observations. He returned phone calls and answered our questions promptly and professionally. I would not hesitate to use him again. Thomas helped us sell our condo and find a bigger house for our growing family. We really felt confident with him from day one because he was very professional and factual. He was no-nonsense, straightforward and forthcoming. We will definitely use him again. We used Thomas Keeper as our real estate agent to sell our townhouse. We had an offer within 2 days of listing. When the property inspection came back and said that there were issues with our house, he helped us negotiate and work out a solution that worked for us. We were really impressed with his expertise, and his tough negotiating skills with the buyer's agent. When push came to shove, we were glad to have Thomas on our side. Thomas just helped my find a house in Lake Bonavista. As an inner-city resident for over 15 years, we had had enough and wanted to escape the noise. Not knowing which community we wanted, he took us all around the city and we fell in love with this one. Thomas was patient and very astute at his job. He is extremely professional and was a pleasure to work with. Working with Thomas Keeper was a pleasure and my wife and I were very impressed with him. Thomas Keeper sold my house for me when I was moving to Kelowna. I had hired another agent first, but he wasn't able to sell so I called Thomas. He sold my place in 30 days, for a price I was very happy with. He was able to get the job done where others had failed. He is a great agent! Thomas helped our family find a home, and we were very happy with him. We had very specific needs, and he didn't waste our time by taking us to a bunch of houses that didn't work. He was efficient and effective, which is exactly what we were looking for. I had a great experience with Thomas Keeper and frankly, I wouldn't work with anyone else. 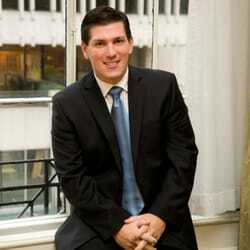 Thomas Keeper acted as my agent when I bought an investment property. From the first call, he was efficient and knew what we needed to do. It was my first time buying a rental place, so his advice was invaluable.